55 years ago, the first Marshall amp left Jim Marshall’s garden shed in West London. Jim was a dancehall drummer and teacher who had a small shop in west London. His shop was frequented by guitarists such as Deep Purple’s Ritchie Blackmore and Peter Townshend from The Who, both of whom advised the retailer to build British-made amps, giving him full details about the specific sound they wanted. Jim took their advice, hired designers and started making guitar amps to compete with expensive American imports from the likes of Fender and Gibson. 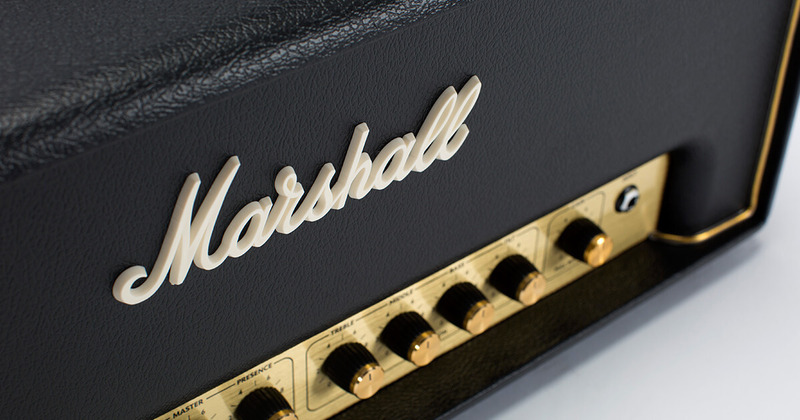 Jim Marshall: “Dudley built five prototypes, which I rejected because they weren’t quite right – they didn’t quite make the sound I had in my head. Then he made number six and I as soon as I heard it I said, “that’s it! That’s the Marshall sound.” It sounded exactly like the sound the boys had described to me, you see. We put that amp into my shop that Saturday for people to hear and it didn’t even have a cabinet, it was just the chassis! We took orders for 23 that first day”. Today, when you think of Marshall you think about walls of amplifiers in arenas and stadiums. You think of the distinctive crunch that has defined rock music. You think of the countless hall of famers that have slayed the stage with the amps as a backdrop. Here’s a look at some of the Marshall amps that shaped the sounds of rock. The one that started it all. The brainchild of Ken Bran – hired by Jim Marshall as an amp technician – the JTM45 was based on the Fender Bassman. Requests from customers and musicians for a cheaper version of the Bassman saw the birth of the JTM45. Swapping American tubes with British ones, the JTM45 also was the first amp to feature a 4×12 cabinet – a closed back cab with four 12” Celestion Alnico speakers. All of which contributed to giving the amp it’s distinctive “British accent”. 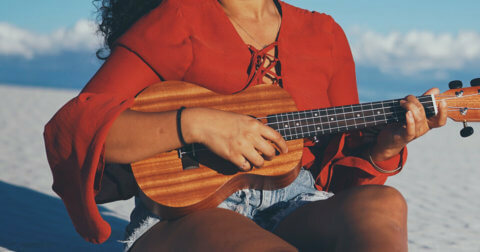 How did it sound? Loud. Crunchy. Bright. Dynamic. Harmonically rich… It roared! Early adopters of the amp included Pete Townshend and Eric Clapton. Eric used a combo version of the JTM45, known as the Bluesbreaker. 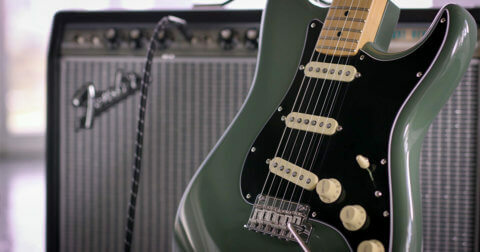 The amp contributed to one of the most sought after and desired guitar tones ever heard, defining the Marshall sound for the blues and rock music to come. Pete Townshend, still not satisfied with the volume of his Marshall amplifiers, was asking for an even louder amp! Marshall listened to his feedback and swapped out the KT66 power amp tubes for EL34 tubes and also added an extra 50-watt output transformer. Result? The much more aggressive tone that Pete was after. The volume potential of these amps made them extremely popular with bands that played in larger venues. The first gigantic 8×12 cabinets, and later two 4×12 cabs stacked on top of each other complemented the 100-watt head – the legendary Marshall stack; a behemoth that stands more than 2 metres tall on stage. Eddie Van Halen, Jimi Hendrix and Jimmy Page drove the ‘Plexi’ tone to popularity – it was the ‘68 spec 100-watt 1959 Super Lead Plexi that was best exemplified by the guitarists who played them. Interestingly, The name ‘Plexi’ merely refers to the plexiglass panel used on the front and back faceplates of the amps. First released in 1981, the JCM800 amp became synonymous with 80s hard rock and metal. The new addition to the Marshall amp family had much higher gain and was a lot more aggressive than its earlier counterparts. The amp featured more gain stages and an additional ‘lead mode’ which activated an extra triode pushing even more gain to the pre-amp. The JCM boasted channel-switching, an effects loop, and onboard reverb – features that were entirely new to Marshall. 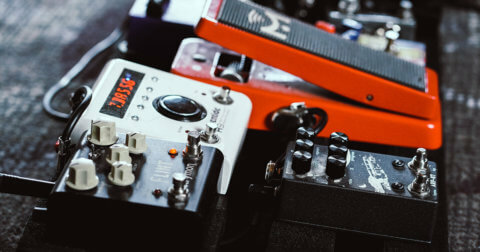 Players could now switch between clean channels and distortion at the stomp of a footswitch, and the addition of a master volume allowed for distortion at much lower output levels. The JCM800 was a staple of hard rock and metal guitarists in the 80s, championed by players like Billy Corgan, Slash, Jeff Beck, Zakk Wylde, Kerry King, Tom Morello and many more. The tones of these legendary amps of yesteryear are still just as relevant and sought after today. The Marshall Origin series of amplifiers has been built to faithfully recreate the tone and feel of the classic amps that preceded them, but with modern features to match the needs of the contemporary player. The amps are simple, single-channeled, no-nonsense tone machine. With a styling and logo that’s a nod to the amps of the 60s, the Origin series features three ECC83 preamp tubes and two EL34 power tubes that contribute to the recognisable British tones. The most prominent modern touch is the Powerstem – which allows you to have high or low power modes without compromising on sound quality. There’s also a tilt control, which emulates the blended sound of the bright and normal channels of the 1959 Super Lead Plexi and JTM45, in a single knob. The Marshall Origin Series is a feat of British engineering, built on the foundations of feedback from the best rock stars to have ever played and they are now available in Swee Lee. Be the first to try the Marshall Origin at the Swee Lee flagship store at The Star Vista.